Whenever people pontificate on the schlock vs. art divide, they forget one thing: it all pretty much feels the same when you’re writing it. I mean, if you go and read an interview by anyone–Stephanie Meyer, John Grisham, Kenny G, Thomas Kinkade, or whichever other artist you particularly dislike–you’ll see that the emotional, spiritual, and mental process that they go through in making their bad art is pretty similar to the one that your favorite artist goes through in making his or her good art. Furthermore, in terms of your life and your struggle, it’s also pretty much the same. Schlocky artists also have to struggle to practice their art. They’re also rejected by their families. They also have to endure rejection and years of failure. I think there’s this feeling (at least in literary circles) that schlocky artists somehow have everything handed to them on a platter and that the agony of literary writers comes from their high-minded refusal to compromise. That is not at all true. There are tons of people whose highest ambition–the height of their artistic dreams–is to write the next Twilight. And they are failing! They are spending years of their life on this effort. They are enduring hundreds of rejections. They are crying themselves to sleep at night and slowly drinking themselves to death…all because no one will recognize the genius of their vampire-werewolf-love-triangle novel. You know who does get this? Elizabeth Taylor (the British author, not the recently-dead film actress). 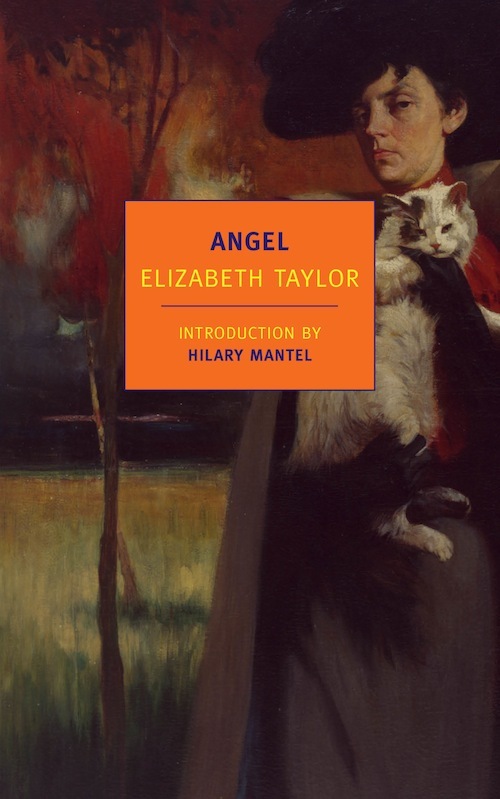 Her novel Angel is about a working-class British girl, growing up at the beginning of the 20th century, who starts to pen extremely popular romances. I highly recommend the book. You won’t necessarily like the protagonist (the author of this book certainly doesn’t), but there’s something so compelling about Angel Deverell. You can feel the immense force of will that she possesses and the vast reserves of feeling that are welling up inside her. Even though I knew that everything was going to turn out badly for her, I always hoped against hope that she’d get everything that she wanted. The book also, I think, really gets at the class divide that separates popular art from high art. Angel clearly has talent. Why does she write bodice-ripper romances instead of well-observed studies of every-day life? It’s partly a question of education…and partly a question of need. She doesn’t value things that make her see the world around her. She already sees far too much of the world around her. What she values are things that take her to a different place. The book makes you see how difficult it is, if you’re an intelligent and sensitive young working-class person, to have such a strong desire for preeminence and to live in a world that will never give it to you.